Scientists found people who did this slept like babies. Most people know babies fall asleep faster when you rock them, but apparently we may never grow out of this preference. A new study found that young adults sleep better when they’re rocked. Neuroscientists at the University of Geneva made a gently rocking bed. They had 18 participants sleep in it, all while scanning their brains. The scientists found the participants sleeping in rocking beds fell asleep faster and woke up fewer times throughout the night. People sleeping in the still beds fell asleep after 16.7 minutes, while people in the rocking beds fell asleep after only 10 minutes. Rocking affected memory too. Participants in rocking beds remembered pairs of words they learned the day before for a memory test before more clearly. Not a bad tip, especially if you’re studying for an exam or trying to learn a new language. And this isn’t the only study to suggest the rocking bed theory may work. In 2011, scientists found people napped better in rocking beds. This recent study was the first to see how rocking beds affected a full night’s sleep. Rocking beds may be particularly useful for people with insomnia. 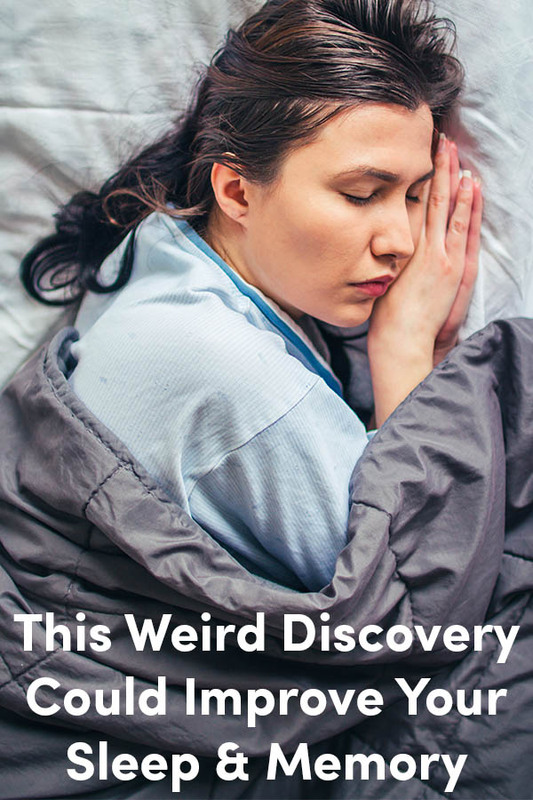 “If rocking can help this population to sleep better, it will be a nice alternative or a natural complement” to sleeping pills, explained Laurence Bayer, a University of Geneva researcher who worked on the study. As someone who is into natural cures for chronic problems, I can get behind this finding. Or at the very least, I’d like to try it out. “I’m putting my bed on a rocker tonight,” Stickgold added. Maybe rocking babies mimics how they felt while mother was walking around before they were born. Interesting. Hard to come by, though. No wonder I love hammocks. Thanks.